This is a story in which a hobbyist prepares to talk to Art students about 3D printing, a task for which he is totally unqualified. As a teacher by trade, he starts with definitions. -Design is a series of choices that lead to a product. A design can fulfill it’s function without an audience. -Art is a process that fills a need of the artist. Art requires an audience. The purpose of art is to create a change in the audience. -A 3D printer is a tool and plastic is the medium. 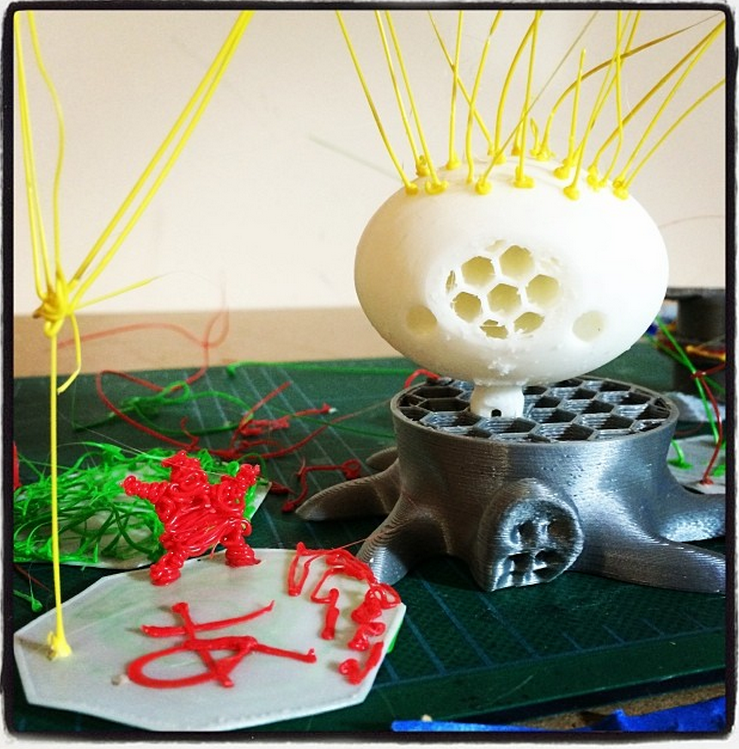 When I started out 3D printing, I browsed Thingiverse, a repository of 3D printable designs. There were a ton of 3D printer parts and calibration objects with some cute animals and sci-fi characters thrown in. These were by and large very practical designs for 3D printing hobbyists created in CAD programs by engineering types. I downloaded and printed other people’s designs and began creating and publishing my own. I started photographing the prints to share with others. An unrecognized part of me wanted to capture the wonder of being able to create these objects. 3D printed objects as subjects for photography, painting and sculpture. On Thingiverse, there was a set of designs that were different than the others. They were mathematical based sculptures by an artist named Dizingof. 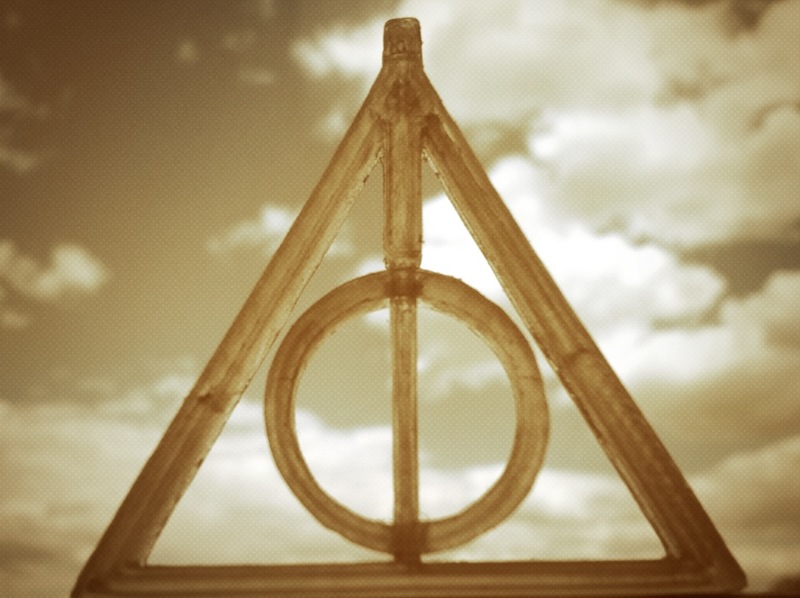 These were objects that seemed impossible. These were art. 3D printing allows objects that the artist can imagine even if they are beyond the technical skill of the artist to fabricate by hand. As I started taking more photos and posting to Instagram and Twitter, I discovered other people that were interested in 3D printing. One of them, an artist named Tom Burtonwood, had created a 3D printed book. I followed his photo stream and I would like to say I was inspired by his photos but the truth is I was confused. I couldn’t quite make sense of what I was seeing. It felt like a riddle with the answer just out of reach. 3D printing is a tool that provides rich opportunities to create and explore new techniques and products. One of the things that Tom Burtonwood did was to publish a number of 3D scans. The scans ranged from sculptures to everyday objects. Tom was a photographer capturing the shape of objects in the real world. Like photography, 3D scanning allows the capture of representations of objects. For some reason one of these 3D scans intrigued me. It was a scan of a pack of ramen noodles. When I opened the design up in a CAD program called Tinkercad, I zoomed inside the objects and discovered these strange landscapes. 3D scanning and printing give us new ways to see the world. I took the scan and started manipulating it in Tinkercad to create a new structure. I printed the new object. 3D printing allows the artist the ability to remix and reinvent physical objects. I had been experimenting with new ways to color prints. I discovered that alcohol based inks flow into the grain of a 3D print. The ink gives the plastic the appearance of a natural material. 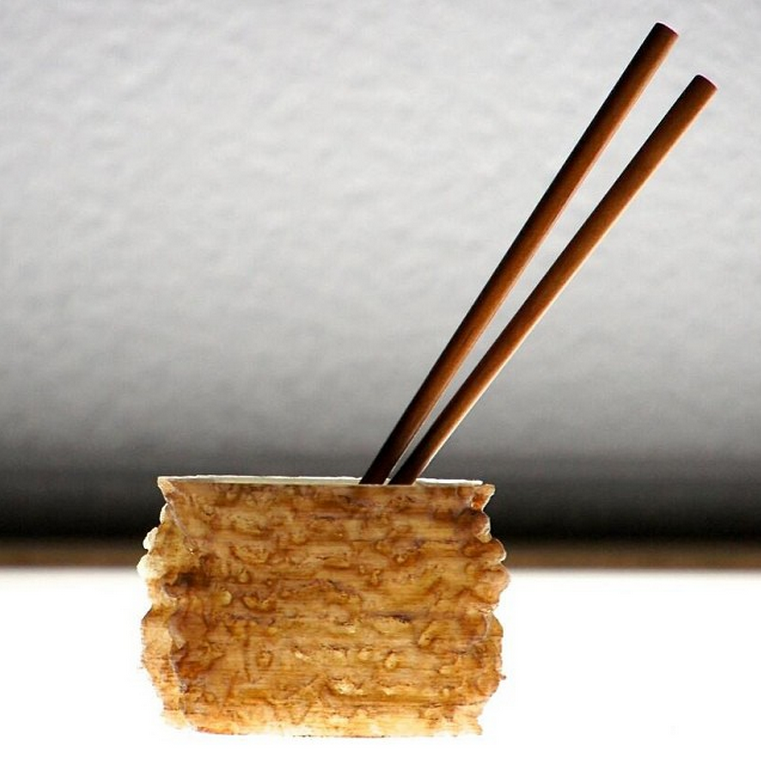 Unfinished Ramen #1 is the first thing that I had created in my whole life that felt like art. 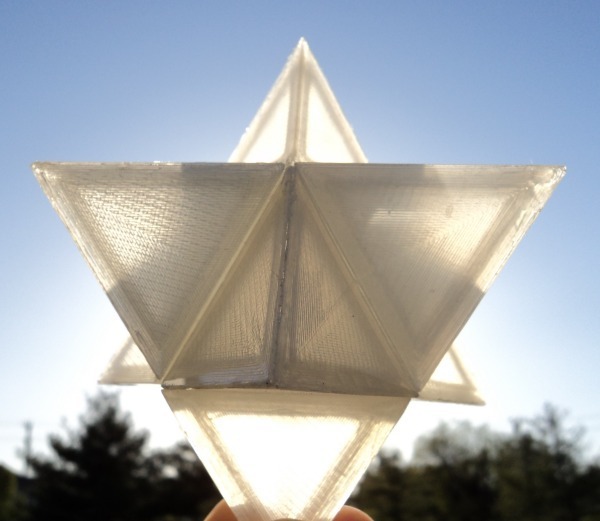 3D printing is a chance to explore a new medium. I have since been thinking about how 3D printing fits into the world of art. I think we value things that are hand made by an artist and 3D printing seems removed from that. Is the first print art and everything after just a copy? Then I thought about how the ability to copy and alter the work could be an essential part of the process. I came up with the idea of a collaborative piece of art work in which a common design is made available for others to participate. Digital design gives artists the opportunity to collaborate in new ways. 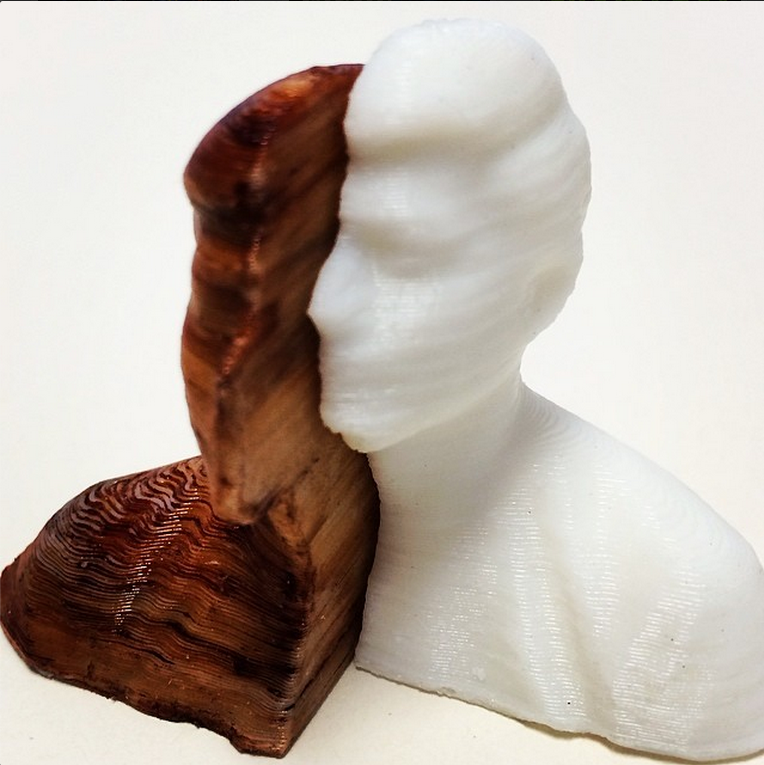 How to start 3D scanning and printing in the art classroom? -Photograph 2D artwork and convert to vector drawings: Take a photo of a drawing and import into Inkscape, an open source vector drawing program, convert to bitmap. Path—> Trace Bitmap—>OK. Save file in the SVG format. -Draw artwork directly in a vector drawing program such as Inkscape or iDraw. (Use a drawing tablet like a Wacom Bamboo.) Save file as an SVG. -Import SVG files into a CAD program like Tinkercad.com (free) which will create an extruded 3D object. -2D photographs can be laser etched as is but need vector format for 3D cutting. -Free CAD programs such as Tinkercad.com, 123D Design or SketchUp allow students to create designs from simple geometric primitives. -Import existing 3D designs in the STL format into Tinkercad.com (free, web based), 123D Design (free, multiple platforms) , SketchUp or other CAD programs. -Use 3D functions in Photoshop ($) to create designs. -Use the Morphi app ($, IOS & Mac) to design. -Download STL files from 3D Design software for 3D printing. -Use 123D Catch (free, multiple platforms) to capture multiple photographs of an object for conversion to a 3D model. -Use Sense Scanner ($) or Makerbot Digitizer ($) to create a 3D model of an object. -Download STL file for 3D printing or import into CAD software. -Use 123D Sculpt (iPad) and Sculptris (Mac/PC) to explore digital sculpting. -Download STL file for 3D printing. -Consumer 3D printers are available in a range of prices and features. Check out Make:Ultimate Guide to 3D Printing as a resource. 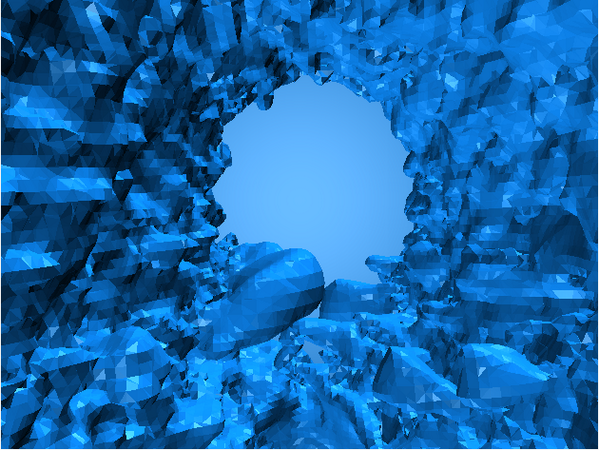 -Commercial sites such as Shapeways will 3D print designs. 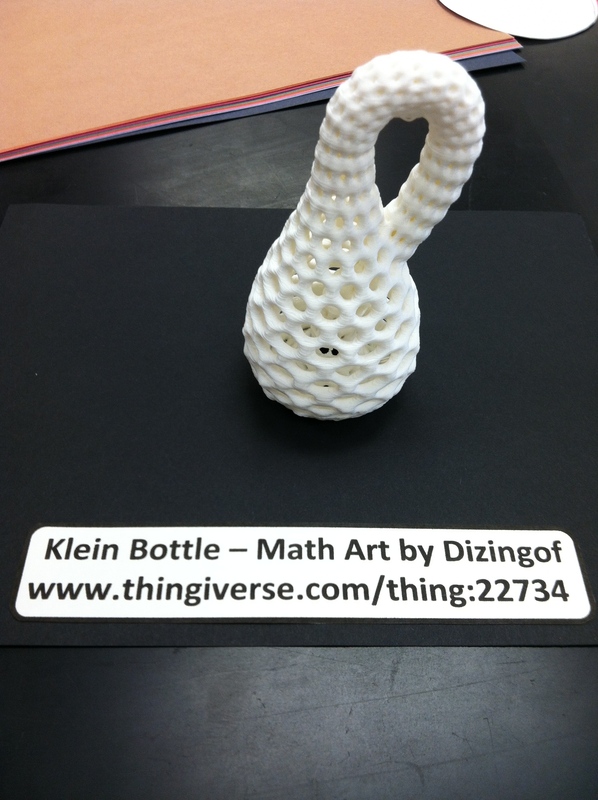 Please leave a comment with any links, tips or ideas for 3D printing and scanning in the art classroom .